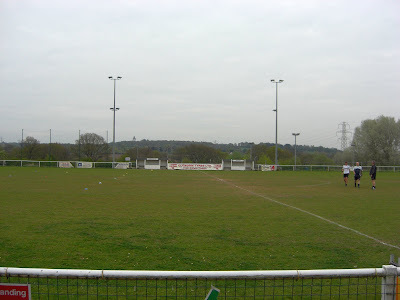 My twenty-sixth stadium of 2011 was on Thursday 14th April 2011 at Boundary Stadium in South Oxhey, Hertfordshire. 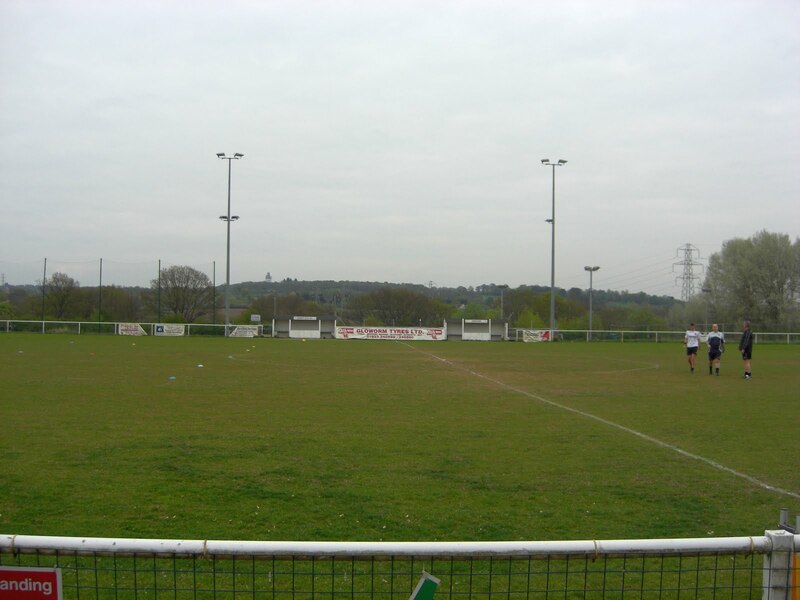 The match was Oxhey Jets vs. Leverstock Green in the West Hertfordshire St. Mary's Cup Semi-Final. Boundary Stadium is just under a mile from Carpenders Park station on the London Overground network. The ground is sat next door to a community swimming pool and is surrounded by a residential area on one side and fields on the other. The stadium has three stands - two running alongside the pitch on the west side of the ground and one behind the goal in the north side of the ground. The stand on the north side is just a general standing area covered by a roof while the two stands on the west side provide seating. One is a small structure with benching while the main stand (the Elliott Family Memorial Stand) which can hold around 100 people is split in two by the players entrance which leads from the changing rooms to the pitch. Next to this there is a raised concrete terrace section for fans to get the best view from. The tie was the semi-final of the West Hertfordshire St. Mary's Cup - a small local competition consisting of just eight teams. The two teams that were involved in this semi-final both play their football in the Spartan South Midlands League Premier Division, with Leverstock Green towards the top end of the table and Oxhey Jets struggling near the bottom. The game started with a quick goal for Leverstock which was scored from the edge of the box after just 3 minutes. Oxhey were able to equalise after a goalkeeping error half an hour in, but Leverstock managed to scramble the ball into the net just before half-time to make it 2-1 to the visitors at the break. The second half was evenly poised until the 75th minute when Leverstock scored a well taken third. This seemed to break Oxhey's spirit and they soon conceded a fourth. Leverstock added a fifth in stoppage time to complete a comprehensive victory over the home side.